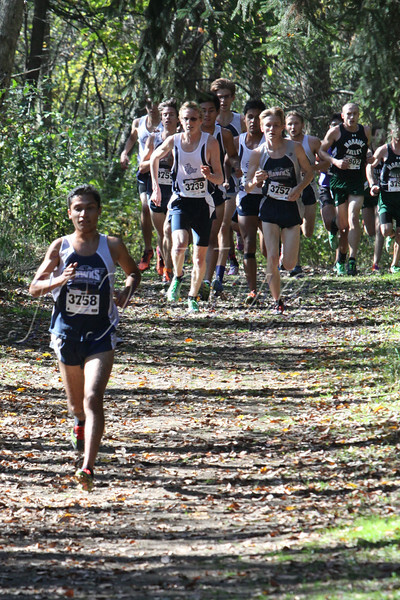 Leader of the Pack Harper Hawks Men's Cross Country—25 October 2014 Juan once again led the team to victory in Saturday's Region IV meet, placing 1st in a field of 90 (8K in 26:18.5). Scoring continued with Brennan (3rd), NTS Adam (7th in 27:32.5), Emil (11th), and John (15th). Soon, The Hawks, who are ranked No. 1 in the nation in the NJCAA poll, will compete at the 2014 NJCAA DIII Men's Cross Country Championship in Canadaigua, N.Y.